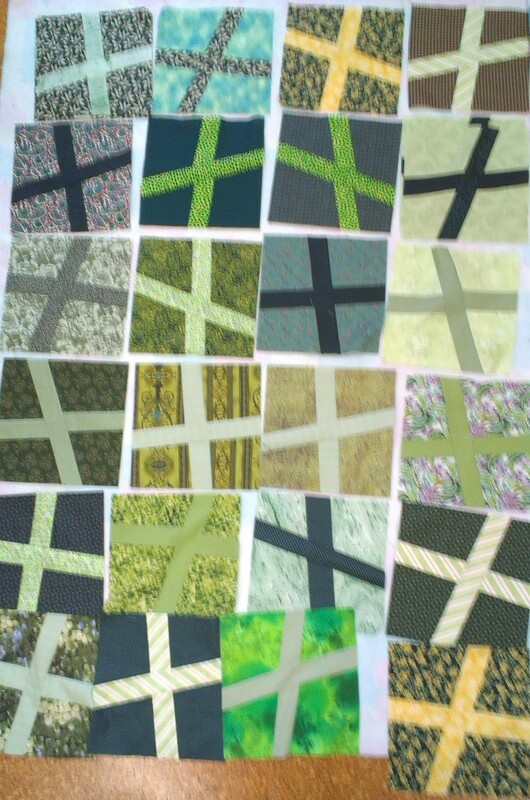 I have spent most of today making more Wonky Crosses for Aussie Heroes. Continuing on from my determination to reduce the size of the green stash, I concentrated on green, but did get a bit sidetracked on one or two occasions. LOL. And yes; the green stash DOES look like I have attacked it! And I have got rid of a whole bunch of sundry bits of fabric. 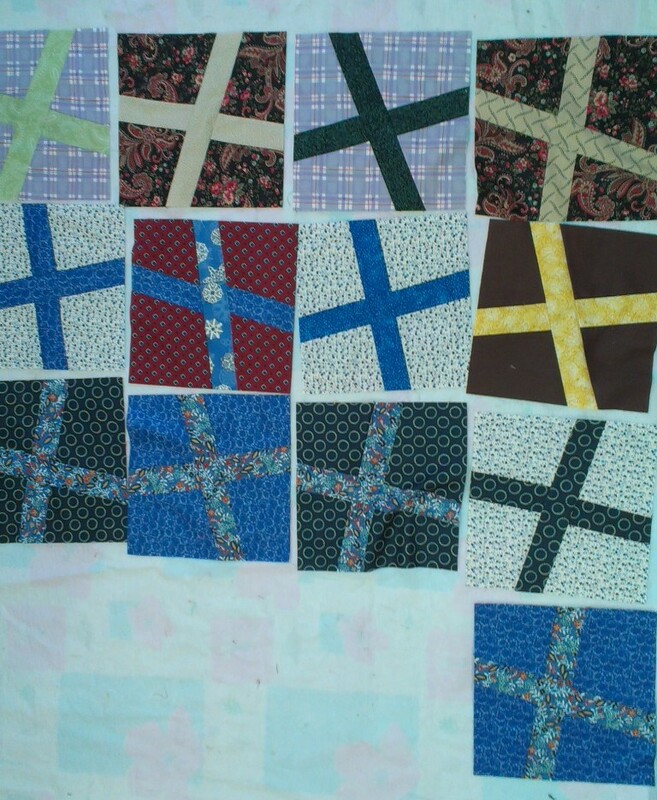 You need to start with a 9.5" block, so when I went off the green rails, I scrounged around until I found small bits that I could cut to that size and get rid of them. I am happy. Also used up lots of 2" strips. I am very happy. Today was a glorious sunny spring day, so after lunch I went for a walk in the garden. While we were away Spring came into our garden. 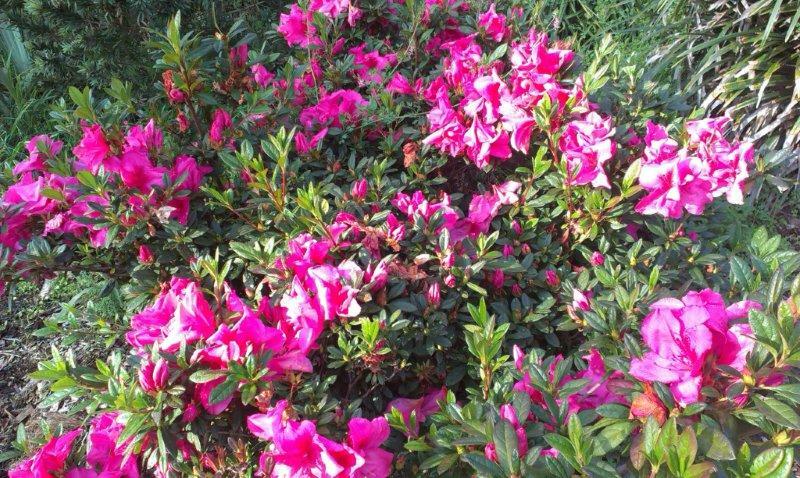 We have a lot of azaleas in the garden, most of them are hybrids. This one is in the back garden and is one of the old fashioned varieties. 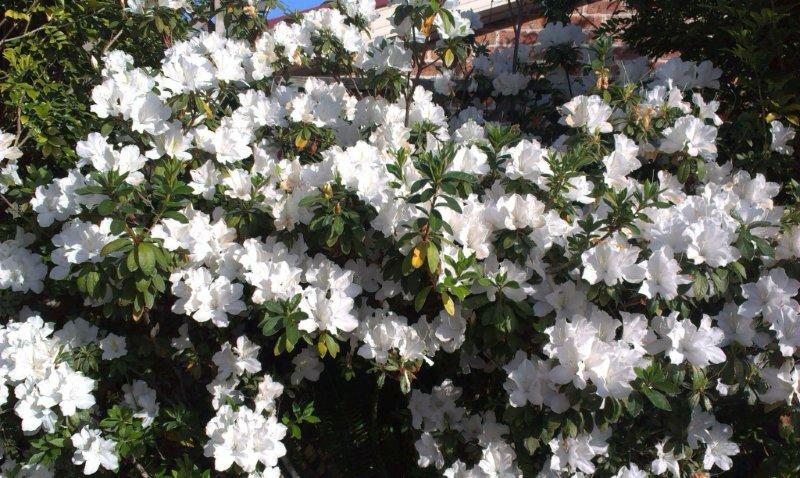 It flowers prolifically, has a lovely fragrance and never seems to suffer from petal blight or the other horrid things that azaleas get. One front garden runs the length of the house and is completely planted out. I am one of these people that believes that a garden should be stocked with things that flower, or smell, or can be eaten. Nothing else is worth growing. So the front garden has mostly things that flower. 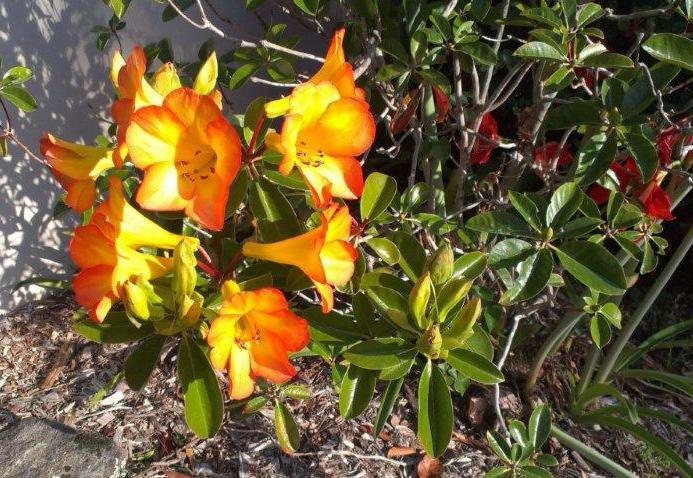 This is one of the hybrid azaleas. 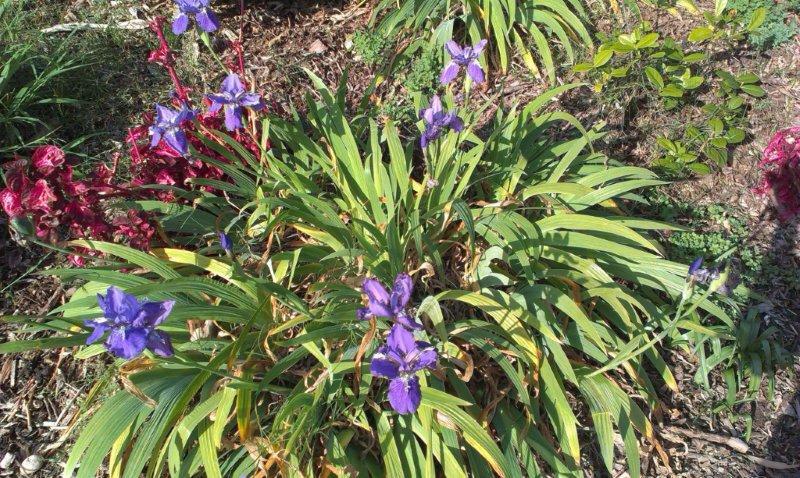 And the irises are out too. They have been flowering for a couple of weeks now, so they do not appear as good as they were. Around the side of the garden and beside the car port is something which I believe is a "native rhododendron". Not sure what the real name for that is, but it has really lovely flowers, which seem to go on for most of the year. We have another of these shrubs at the other end of the garden. I love it. Peeking out from behind the foliage are the first of the day lillies. They flower prolifically all year round and we have several varieties dotted around in the garden. 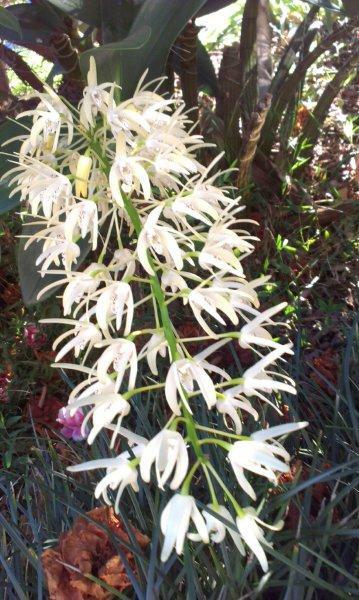 We also have two clumps of Sydney Rock Orchids. They are both in spectacular bloom. And here is a close up of one of the spikes. Aren't they just gorgeous? I had not noticed that they were about to bloom, and we came home from holidays to that lovely display. We had a fabulous display of bulbs of all sorts in the garden this year. Several varieties of jonquils including the Erlicher which has a terrific scent, daffodils, snow drops and fresias. The Babiana is about to flower. 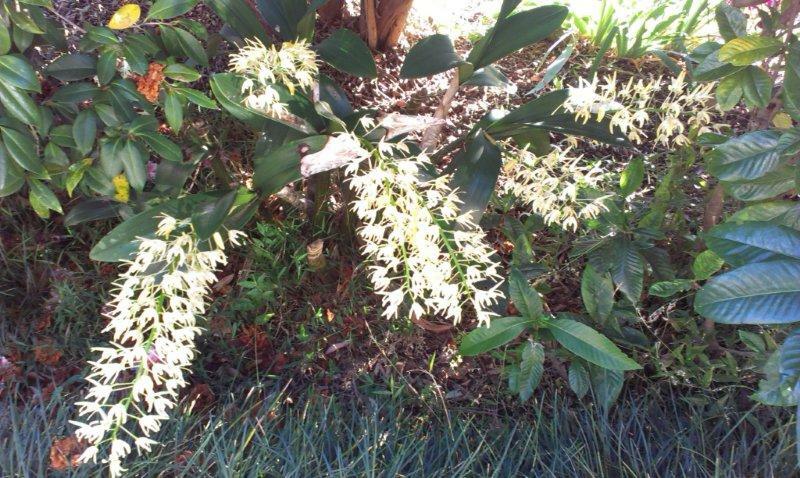 When that is in full bloom, I put up a photo of that. Although I love being in the garden, but I am not a good gardener. Apart from anything else, my back gives out on me after only a short while, and I have to be very careful how much I do. I have a chap come in once a year to do the heavy pruning, a good clean up and to lay down mulch. Most of the stuff growing is there because it needs little attention. Plus we often have very dry summers, and with the water restrictions of the last ten years, what is in the garden has to survive without watering. The other thing that has arrived back for the summer is the Dollar Bird. It is a strange sort of bird. Pretty boring to look at except that it has a bright orange/red beak and legs. But when it is in flight it has a glorious turquoise splash under its wings. It has a strange, very raspy croak, which is how you notice that it is back. When they are here, they live in the high trees along the waterfront, which is just on the other side of the road from us, so we have a bird's eye view of them. When the Dollar Bird comes back, you know it is time for the Koel. I will tell you about him when he comes back. Confession time. If you read my blog, you will have noted that I was going to stay focused and get a few things completed. Well, this week I haven't. But I am telling myself that I am exonerated because I have been stash busting instead. Besides, its not really a new thing I have started. We got back from holidays on Monday night, and I spent Tuesday doing all those boring things that make a home tick over. You know, washing, shopping, unpacking, paying bills..... Boring, Boring, Boring. By Wednesday afternoon I couldn't deal with this any longer, and I ignored my tax which is pleading to be done, and sat down to my machine. Aussie Heroes does a BOM, and the August one is Wonky Crosses. The tutorial for that is here. I decided to do some blocks, and get stuck into my green stash which is totally overflowing. And then I got bored with looking at green fabric, so I made some other colours - mostly blue-ish. There are 39 x 9.5" blocks in all. I feel very pleased with myself as I concentrated on the pieces which were small bits and got them out of the cupboard. I even juggled bits together when they were too small to cut the original 9.5" block. And you know having dug into that green stash, it doesn't seem to have made any impression on it at all! 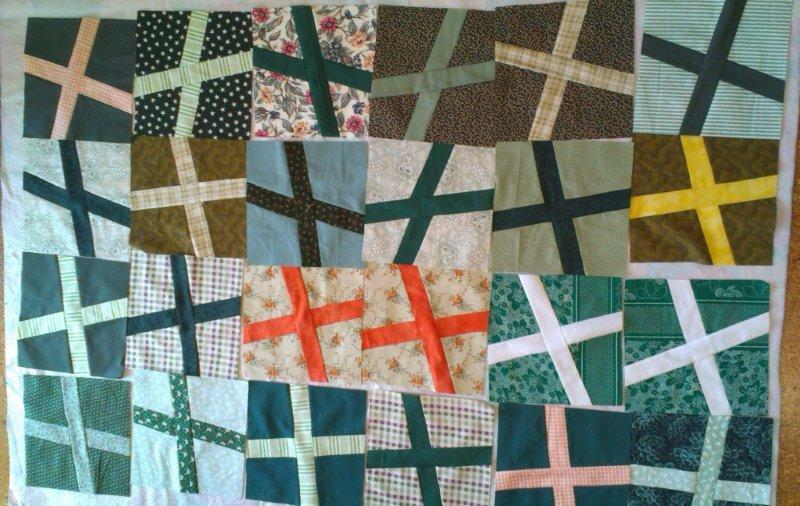 I am planning to go down to Jan-Maree's to a sewing day on the 2nd September, so there is still time to do some more. I called into Aldi on the way home today because they had great big fat red strawberries on special for $1.69 a punnet. That is very cheap for this part of the world. 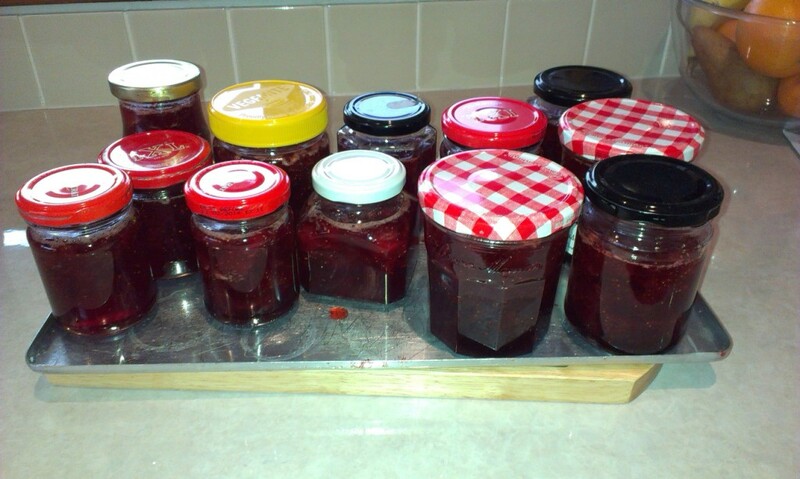 After lunch today I got them boiled up into jam, and have a neat dozen jars of home made jam. I have been making strawberry jam for about 3 years now, and find that store bought stuff is just no longer appealing. I have almost finished the last bottle of the last batch, so this was very timely indeed. I will need to label them all tomorrow when the jars are cool. Now to go clean up the sticky mess in the kitchen and get the dinner on. We played in the Coffs Harbour Congress over the weekend. So happy at our result! We are not top players by any stretch of the imagination, so this weekend when we came in 11th of 68 teams we were just delighted. And to put the icing on the cake, we were second in one of the minor divisions, which came with prize money! We had a barbeque dinner at our place on Sunday night, with our team mates & one other couple. It was a great night and finished off our holiday with a bang. I did manage to squeeze in a quick trip to Hunters & Collectors Barn in Coffs Harbour during the week. 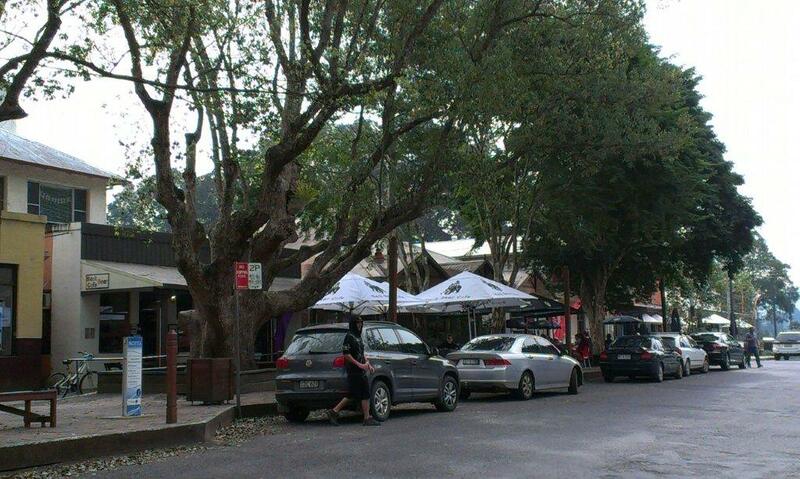 This little shop used to be in the hills outside Coffs, but has moved into town. When I went looking for weblink just now to add to this post I couldn't find one :-( I have loved this shop forever and always try to sneak in a quick look whenever I am in the vicinity. You know how sometimes you walk into a shop and literally everything on the shelves is your style? 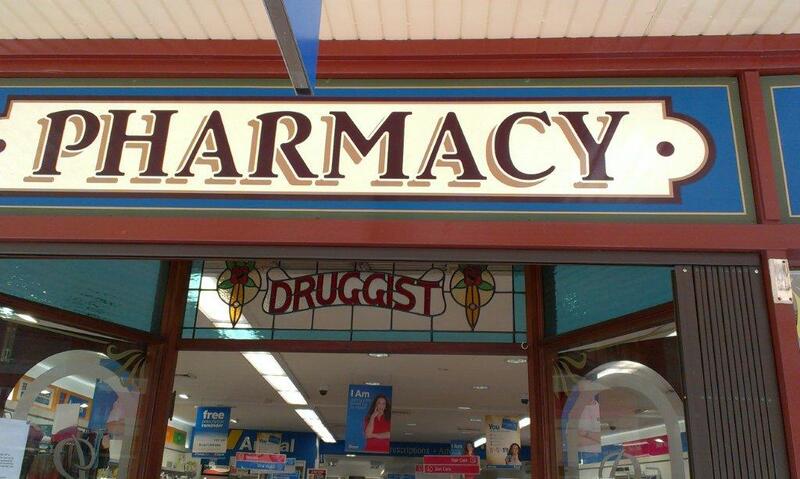 Well this is one of those shops for me. 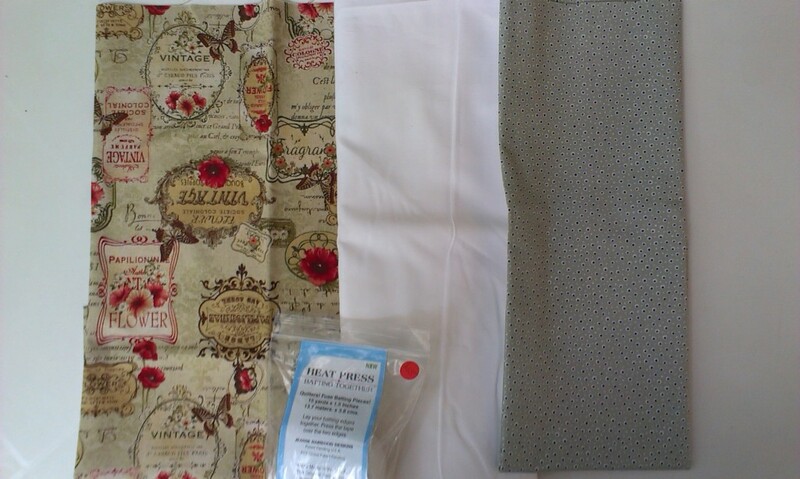 Some pretty vintage linen, some yardage of Bella Solid in white and a lovely piece of pale green with a tiny navy spot which will be great as a blender fabric. I have wanted to take a look at the Bella Solid range for a while - everyone in blogland has been talking about and using it lately. So I have picked some up. She had a great range of quilter's muslins there, the best I have seen anywhere, but I specially wanted to trail the Bella Solid range. I also picked up some Heat Press. I have been wanting to try that out for a while too, and saw it so I grabbed some. Yesterday was a long drive home - 6 hours of boring freeway driving, nothing to look at, nothing to do except blat along at a 100. Ho hum! I took out some embroidery I had taken with me & got a fair bit done. 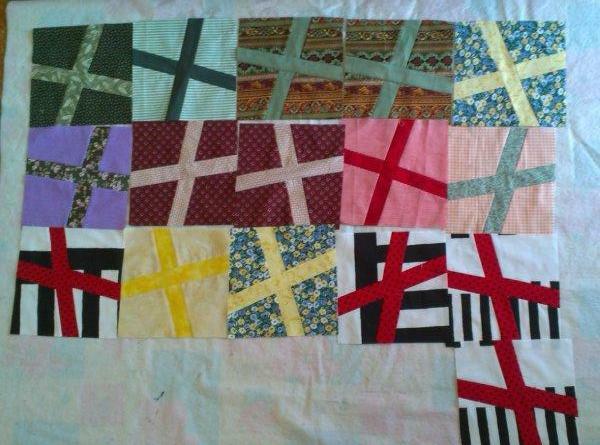 Can't show you the pics as it is secret sewing for the Santa Sack Swap I have joined. The only thing that was interesting yesterday on the drive home was a birds nest we spied on the top of a telegraph pole. There was a bird in it which I think may have been a Nankeen Kestrel. Pretty exciting to see that! The girls came over for some grandy time when we got home. Love living so close to them that they can just drop in after school. Tibby wouldn't come near me for several hours. Poor little puss must have thought I abandoned her. And I thought having a house sitter for her would save her the trauma of a cattery. We have made friends now, and she is quietly sitting beside me now. Today is boring stuff - washing, grocery shopping, catching up on bills etc., and if there is free time, I have to get on with my tax. Today we had an outing with friends Andrew & Nola. 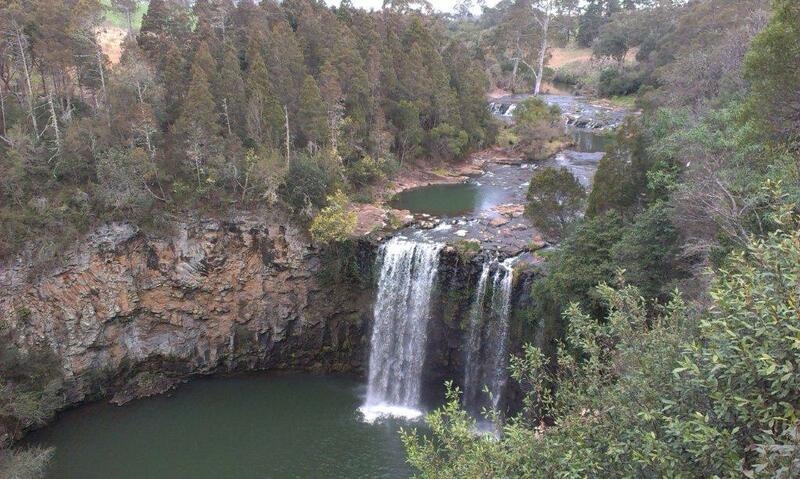 After a leisurely breakfast, we headed up the Waterfall Way towards Dorrigo. First up, a small diversion to the Honey Place in Urunga which was only a couple of kilometres out of our way. The Honey Place, has a working hive behind glass. It was simply teeming with bees, amongst which Nola's keen eyes found the Queen Bee. There were also heaps of different honey varieties to taste. Needles to say, the hand went into the pocket, and we came away with a jar of White Box honey. Yum! Can't wait to try it. 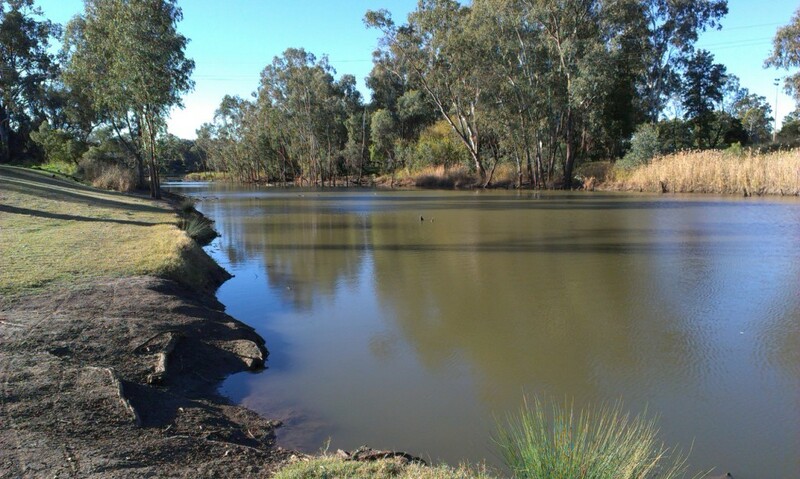 Belingen is set on the Bellinger River, and was initially settled by cedar cutters in 1843, but this settlement was abandoned in 1846 and it was not until 1863 that the first land selectors arrived. The main industry from then on was dairy cattle. Now it is home to a large community of artists of all descriptions, and there are lots of galleries and places to stop for a break. Our first port of call was the Old Butter Factory. I found this mildly disappointing as it was simply a group of galleries and shops. I guess I had thought, erroeously as it turns out, that there may have been some sort of display of butter making or some such. Nevertheless, the shops were interesting, with quite a variety of crafts. I came away with a lovely hand made leather belt from the cobbler, and a wooden puzzle from the wood turner's. Just up the road is a small street lined with cafes and eateries leading to a look out over the valley. The locals set up with their chess boards and coffees in this pretty little street, and just ponder their moves. We had our lunch here. There is a lovely park at the end of this street. I thought this tree looked pretty special. 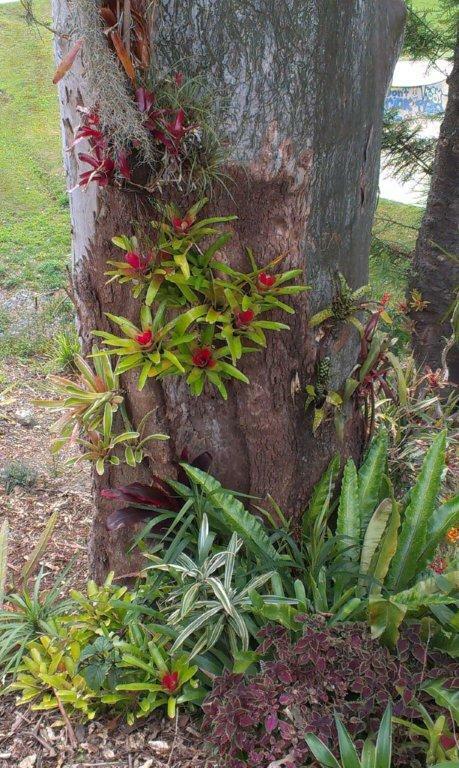 The Bromeliads are actually growing on the bark of the tree with ferns and cacti at the foot of it. Turning back and on the main road again, I spied this pretty building. I am betting that it was once a bank, but have not been able to find anything to substantiate my theory. It is now an absolutely brilliant organic fruit shop. Nothing is prepacked, and David enjoyed selecting the strawberries for our dinner off the heaped tray on offer. Marching on up Hyde Road, I found this lovely sign above the relatively modern Chemist shop. I stood there for a while debating on whether the window and display sign was a recent addition or an original. Whatever, I loved the leadlight in this window and thought it worth sharing. 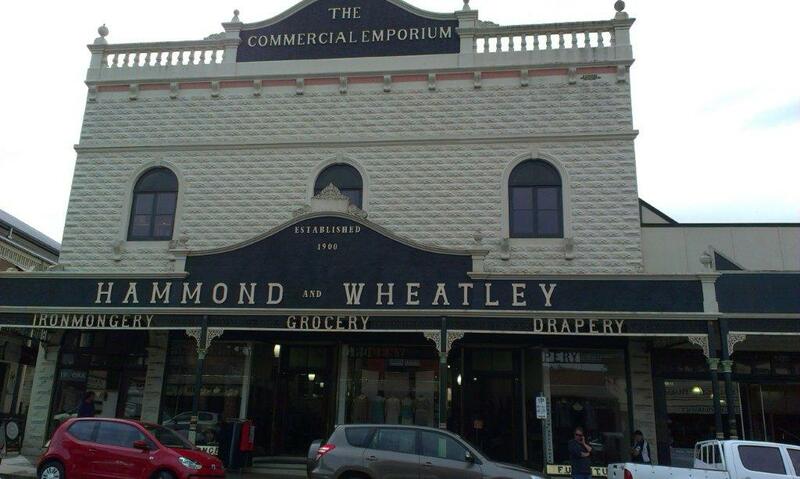 Directly across Hyde Road is the Hammond and Wheatley Commercial Emporium built in 1909 by William Joseph Hammond and Arthur Edward Wheatley, by George Edward Moore. They had been trading on that site from a store called the "Reform Store" since 1900. Can you see the ornate facade and the interesting bit on the roofline - is that a balustrade? We didn't go inside, but the flyer says: "Cast iron columns support the awnings with iron lacework featuring department names. Original brass shop front framings with engraved brass sills remain. Internally a mezzanine floor is reached via a grand staircase." 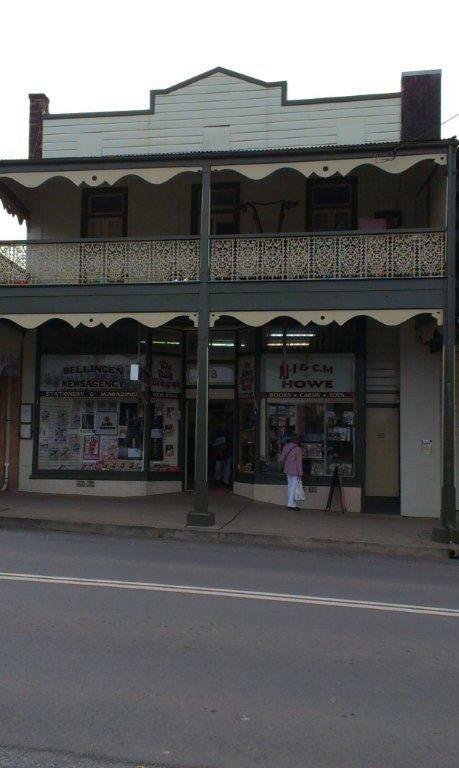 Next door is the Federal Hotel with its glorious iron lace work verandah. 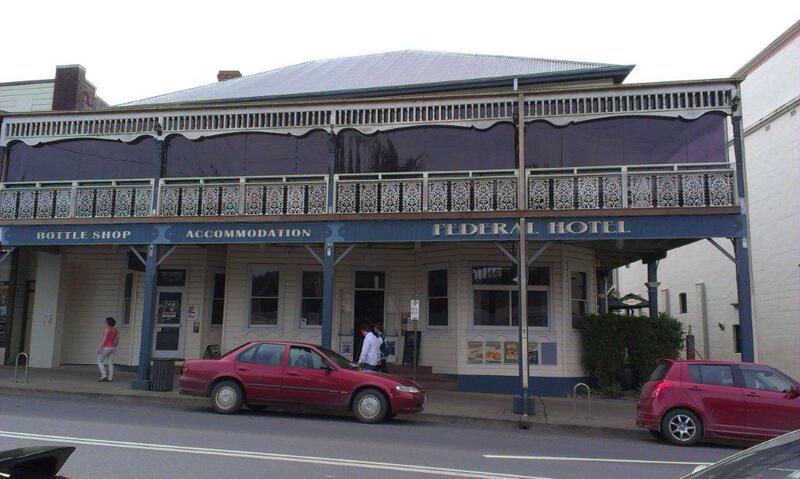 The Federal Hotel Bellingen first opened for business in 1901, its name celebrating the Federation of the Australian States in that year. It was built by a Mrs Redstone for her daughter Alice Maude who married Mr Albert Edwin Capp. After lunch we drove on up to Dorrigo. The drive was spectacular. On this side of the Great Dividing Range the ascent is steep and craggy, with a narrow road and hairpin bends, which follows the course of the Bellinger River. 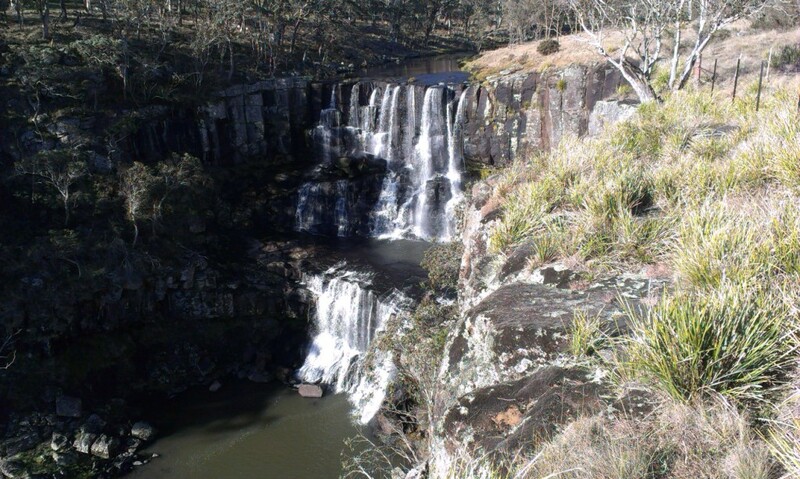 We didn't stop in the village, but continued on 2 km north to the Dangar Falls. I thought the rock face to the left of the Falls was interesting. From here we went on to the Dorrigo National Park. 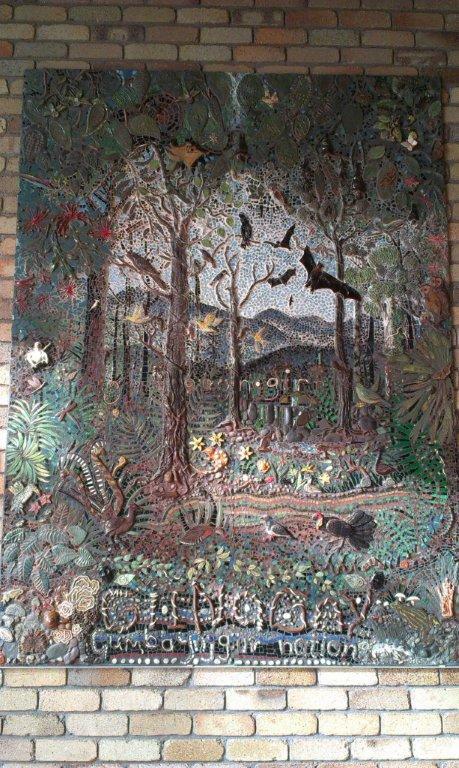 At the entrance to the Discovery Centre, there was a terrific tile mosaic. 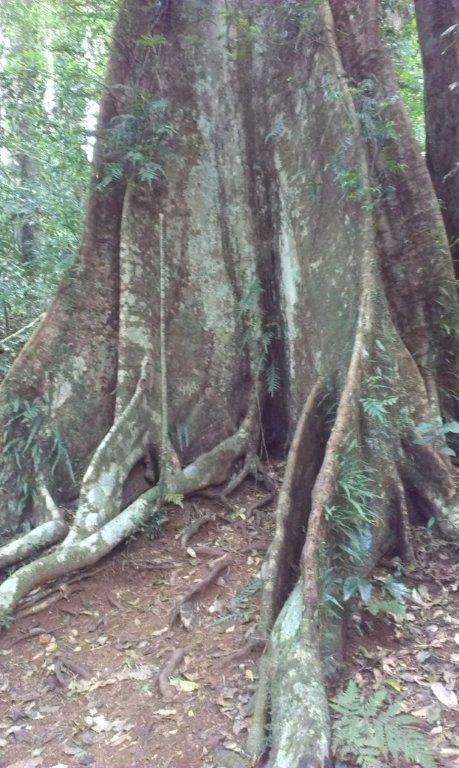 It was very detailed and depicted the rainforest and the wildlife which inhabits it. This was the first panel, there was another which ran the length of the wall to the front door of the Centre. From the Centre, there is an elevated board walk out to the viewing platform. It was quite eerie looking down on the tops of the trees. This one was a dead tree quite close to the railing. 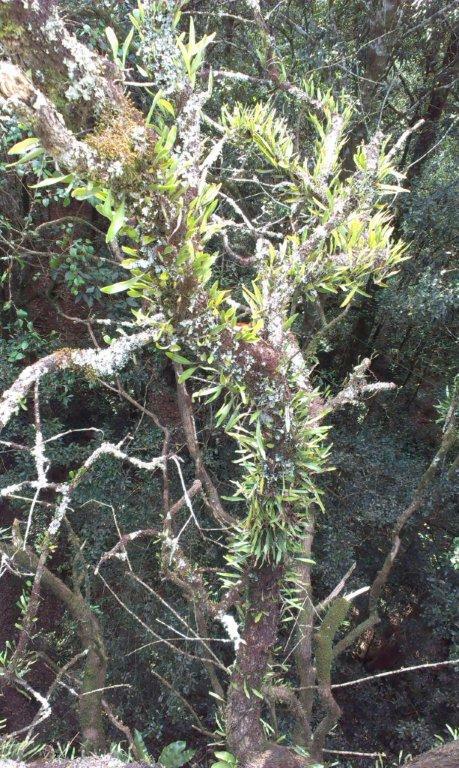 It was covered in mosses and parasitic plants, and the branches looked quite tortured. The view was spectacular. Here is my first attempt to do a landscape photo with my phone. Pretty good eh? You can barely see the joins between the 3 photos. We took a short walk down the Lyre Bird trail which goes down to the forest floor, but unfortunately didn't see any Lyre Birds. 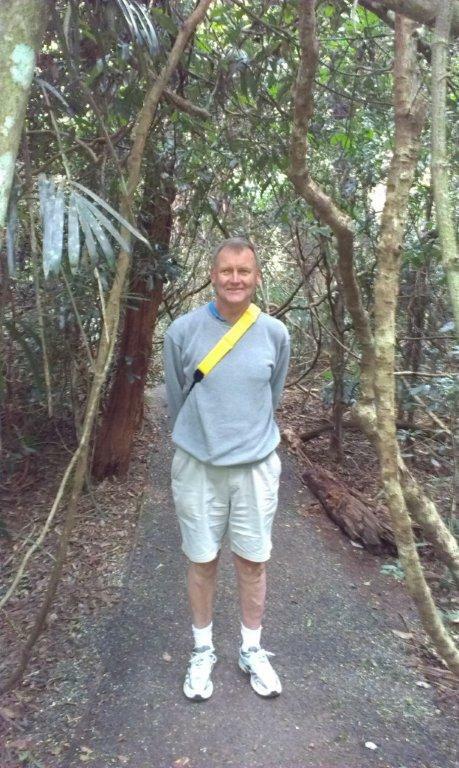 The rainforest was interesting - heaps of hanging vines, no Tarzan but I did find David. LOL. That was enough for the day, and we returned home to have a lovely bar-be-que dinner together in our apartment. We are staying at Smugglers on the Beach at Korora, about 5 km north of Coffs Harbour. We booked it on-line, and have really struck gold. It is absolutely lovely here. Contrary to what you might think, we actually have played some bridge! We played in a two day pairs event in Moree over last weekend. The first day was the qualifying rounds, in which we played absolutely abysmally and did not make it through to the Finals. The second day we played in the Consolation Plate, and came in third. 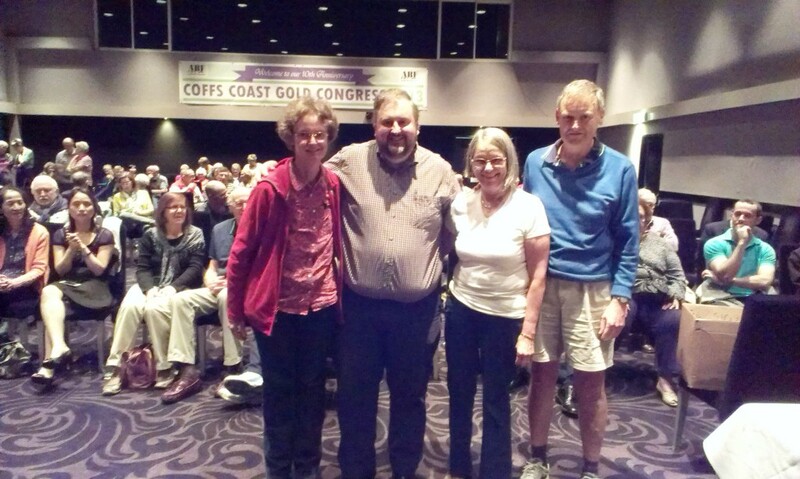 The Coffs Congress has already begun. We played in the walk-in pairs on Tuesday night and I am not telling you where we came in that! We decided not to play in the pairs, which is happening right now, but to only play in the Teams. That starts on Friday, and we will be playing with Andrew and Nola in that. 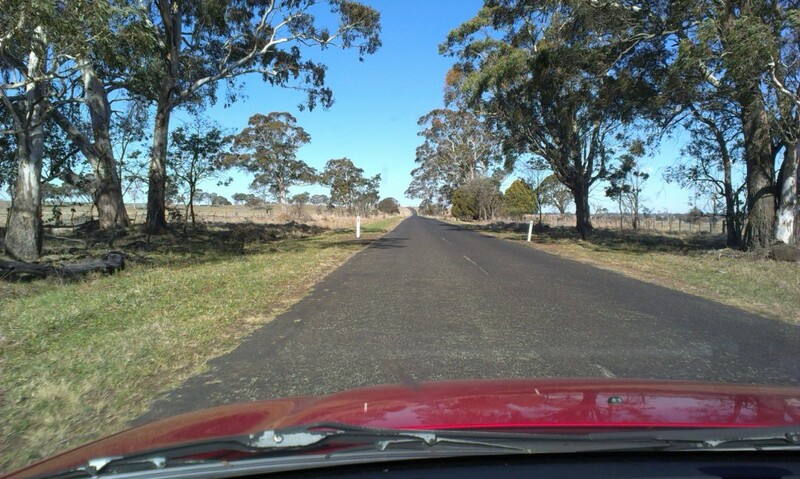 We left Moree for the coast on Monday. 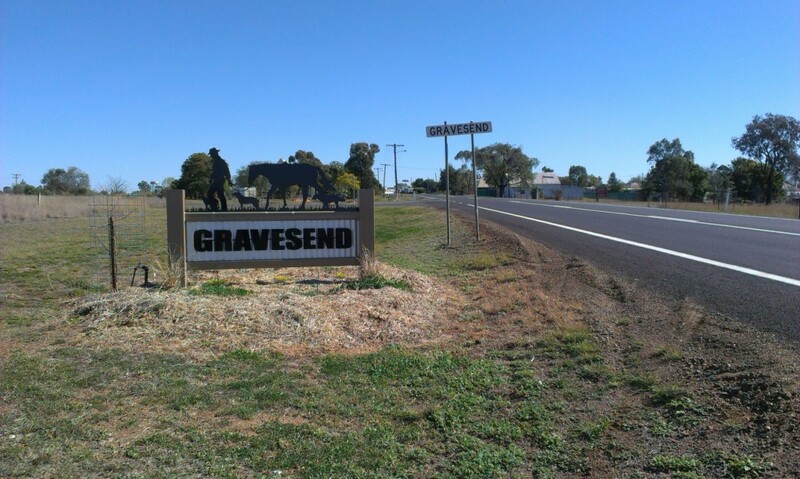 First pic is the tiny village of Gravesend, which is on the Gwydir Hwy about 25km west of Warialda. The sign took my fancy (it is a man leading a horse, with a couple of dogs at following along behind him), and the village is just a tad different from the Gravesend in Kent where we'd been a couple of years back. I thought it was a giggle. 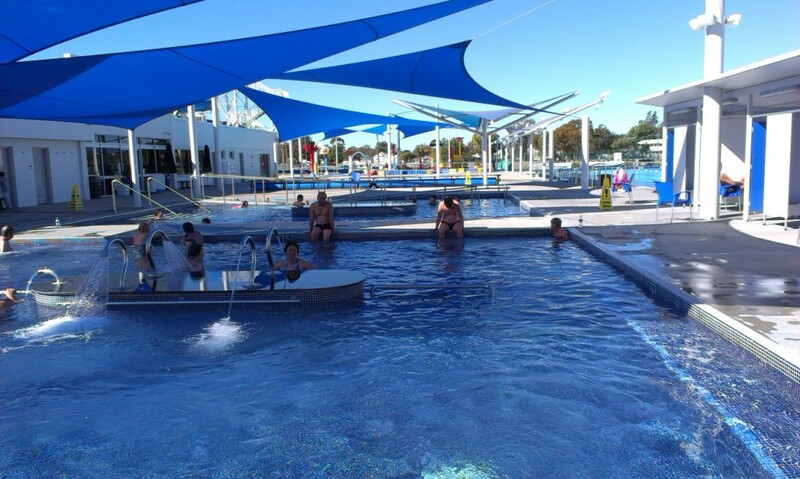 In this first part of our journey, we saw many of the large birds that had me fascinated at the Hot Baths in Moree. In retrospect, and in consultation with my friend Wendy, we have decided that they were actually Black Kites, not Little Eagles as I had stated previously. There were plenty of other birds of prey along the road too. I spotted a couple of Goshawks, and a number of others too far away to identify from a car flashing by. 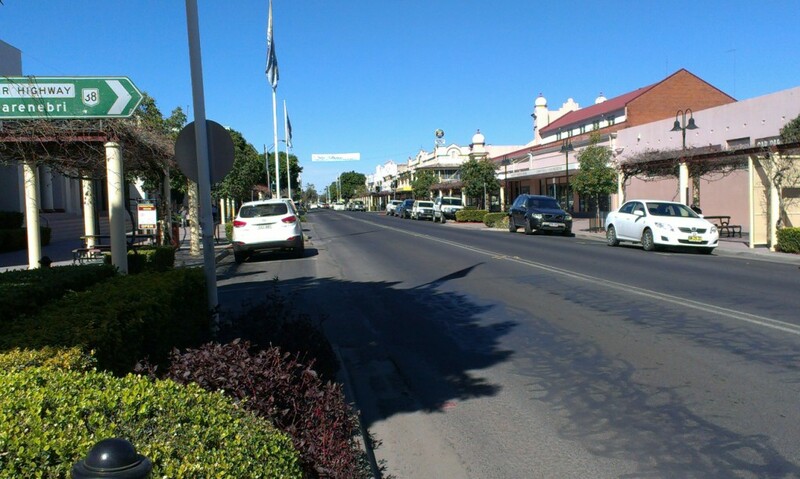 Through Warialda and on to Inverell, a lovely town whose name comes from the name of the station belonging to Alexander Campbell, who settled here in 1848. The name is of Gaelic origin, and signifies "meeting place of the swans". 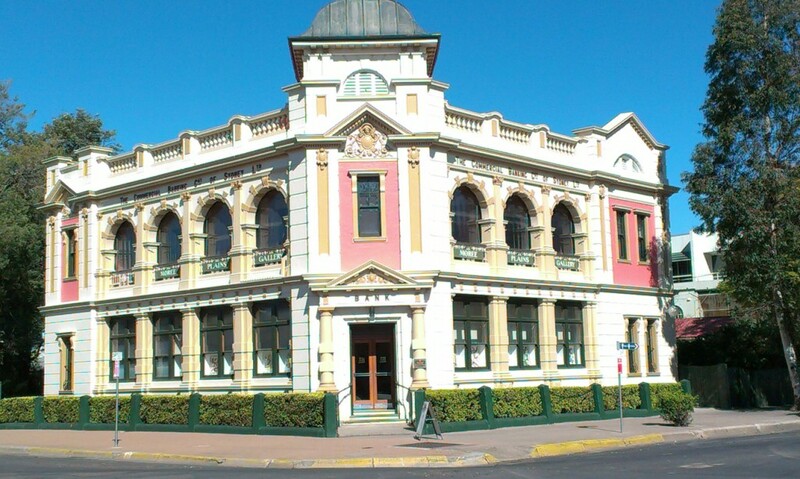 Here we found this gem - the Court House, built in 1886. Can you see the intricate crest above the main door? And a little further on, the Town Hall, opened in 1901. 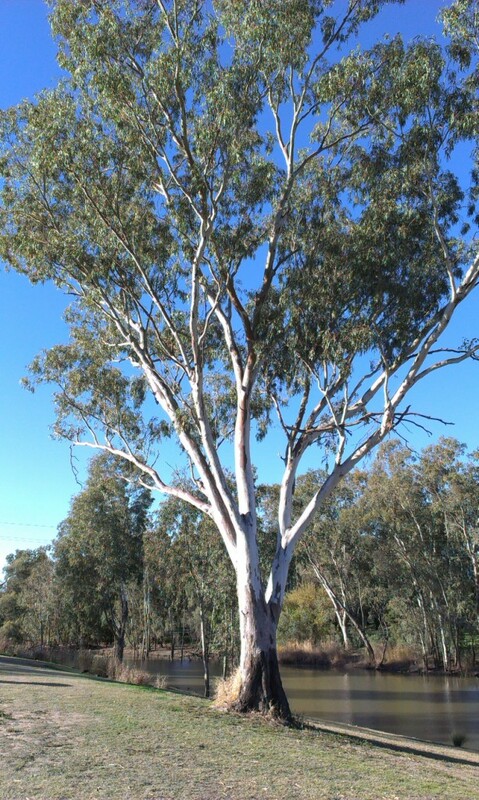 It is mid winter, so the trees are bare. Woud love to see it in summer. 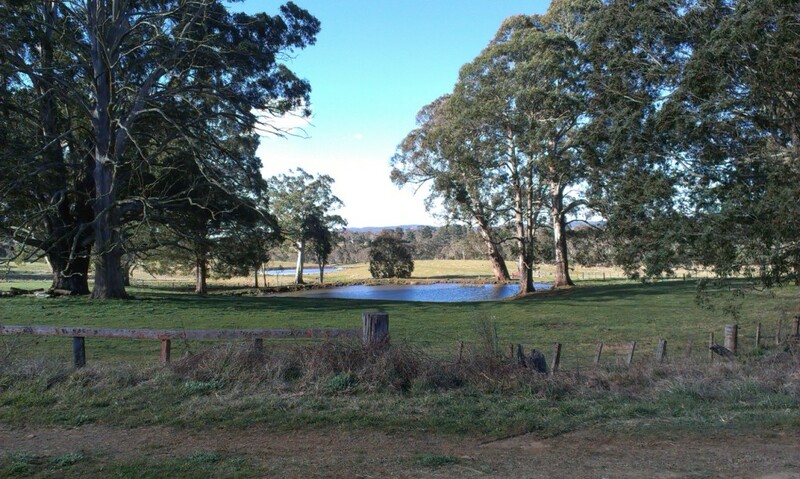 From Inverell we headed for Guyra and pretty soon, the country changed from flat open agricultural land, to lightly wooded pastoral land with cattle peacefully grazing in the fields. Looked like there were a few dairy farms as well as beef cattle, as we spotted several places where the cows had congregated, waiting to be milked. Also, plenty of playful calves chasing their tails and each other. Guyra is a village in the New England Tablelands, and is quite high, so we were soon travelling in much more wooded rolling hills. Love that - to me the most aesthetically pleasing landscape of all. 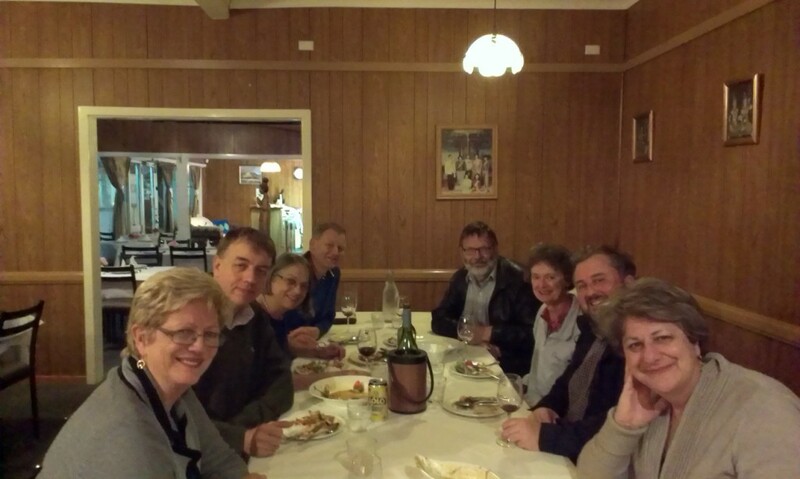 After a lunch stop in Guyra, which, by the way was significantly colder than it had been down on the Western Plains, we went onto a lesser road, headed for Dorrigo. By now the landscape had changed again, and there were some significant hills, with loads of jagged rocky outcrops in the fields beside the road. We attempted to get to the Cathedral Rock National Park, but were thwarted in that we did not have a 4WD and the road was a mess because of roadworks. Sigh! Never mind, we have decided to come up this way again, so will make sure we do this next time. 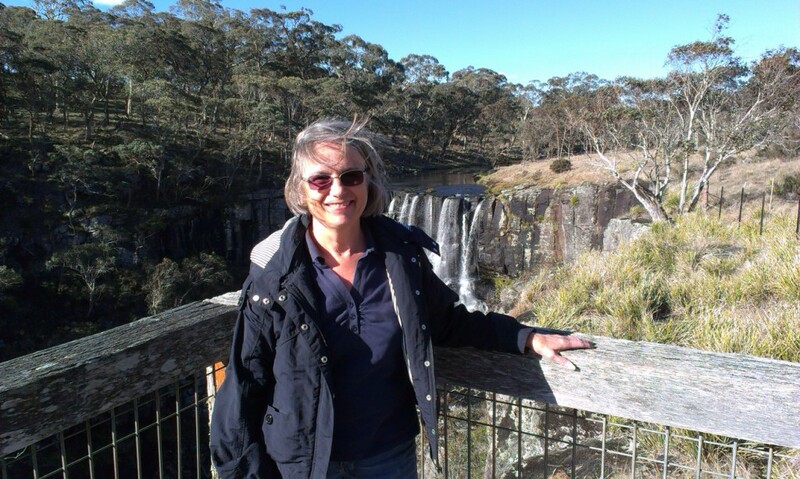 We did, however, manage to get to the Ebor Falls which are in the Guy Fawkes National Park about 3km from the tiny village of Ebor. David decided that it was high time that I got into the act, and proved that it was really me here, and not some imposter. LOL. You can see by my beautifully coiffed hair that it was blowing an absolute gale up the gorge! The next town was Dorrigo, then it was a steep winding descent following the Bellinger River into Bellingen. And the scenery has changed once again. No longer alpine country, now it is lush rainforest. Bellingen is only about 15km to the coast, and about 30 from where we are staying, so we are planning a day trip there in the next couple of days. We are staying at Smugglers at Korora. Right on the beach and a lovely, well appointed apartment. 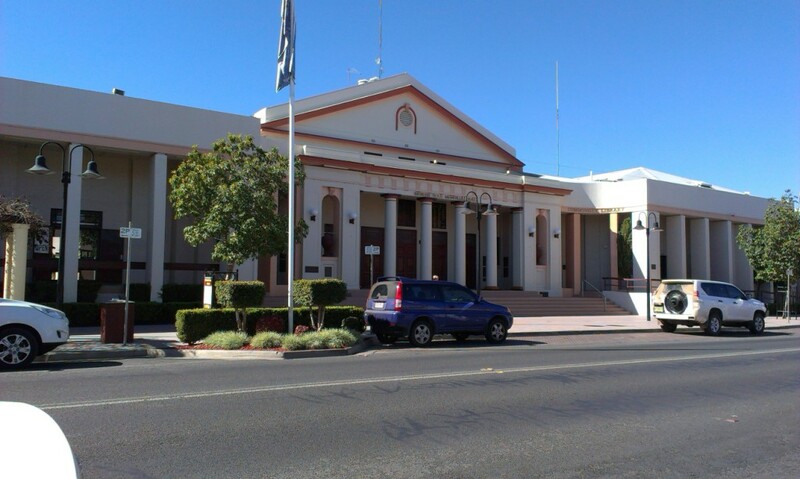 Moree is a large rural town in northern NSW, not far from the Queensland border, and about 500km from the coast. 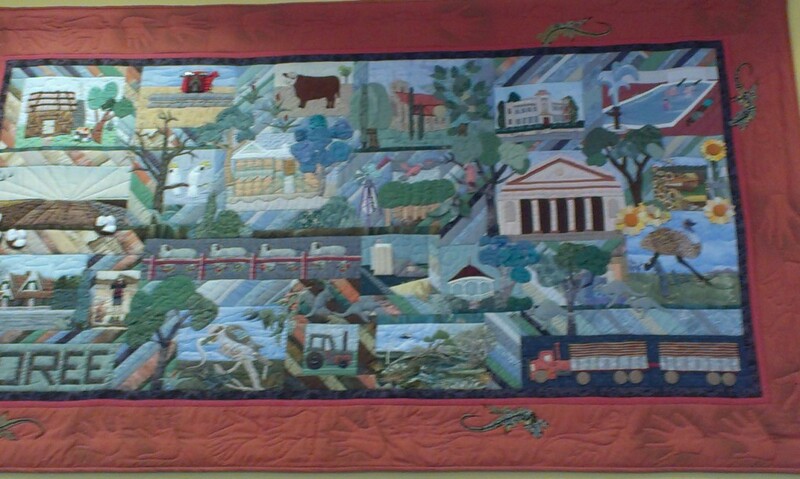 The main industries here are wheat, cattle & cotton. 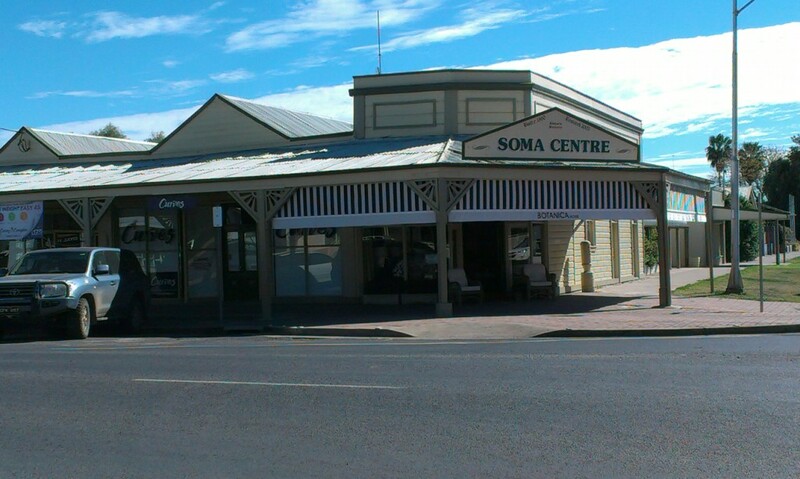 Like many NSW country towns, its main street is long & wide and flanked by single storey shop fronts. This is Balo Street. 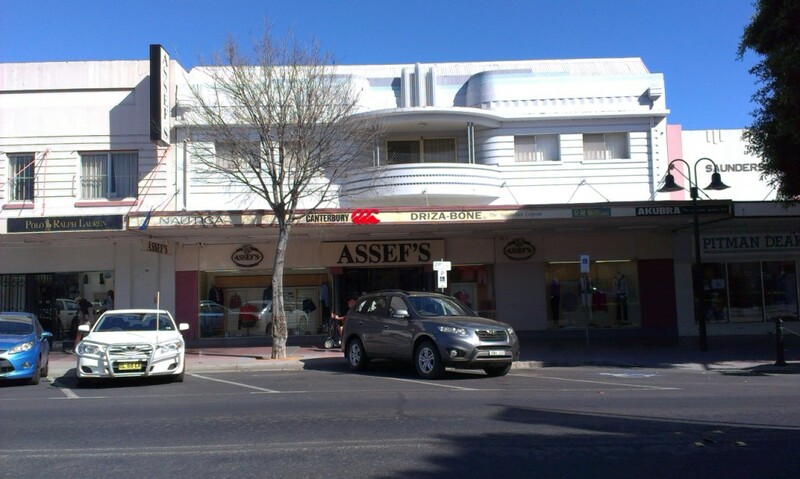 We stayed with the Assef family who have run the Assefs fashion boutique in Balo Street, Moree for several generations. Heber Street on this side is a lovely side street with a shady avenue of trees. 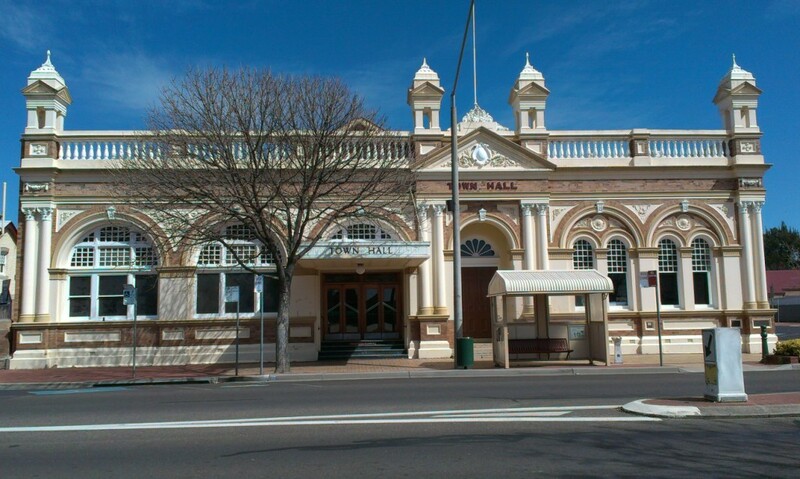 There are some beautiful old buildings in this town, like the Art Deco Memorial Hall built in 1921. 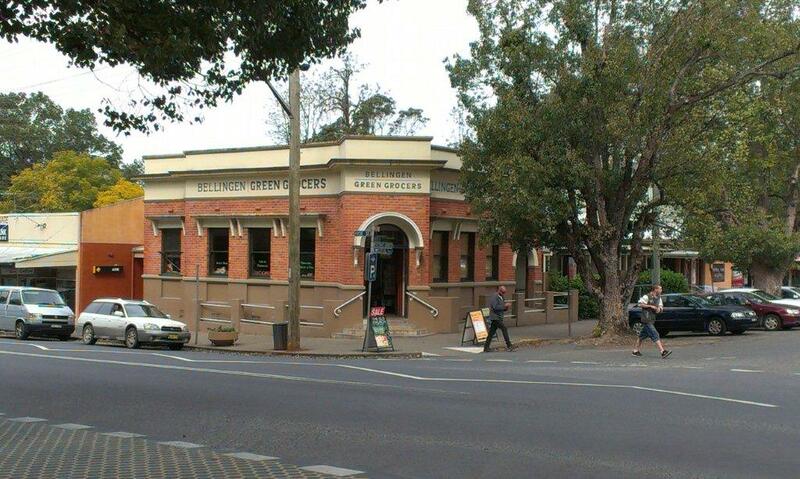 This is the former Federation style Commercial Banking Company of Sydney building. It was built in 1910, and is now a gallery. 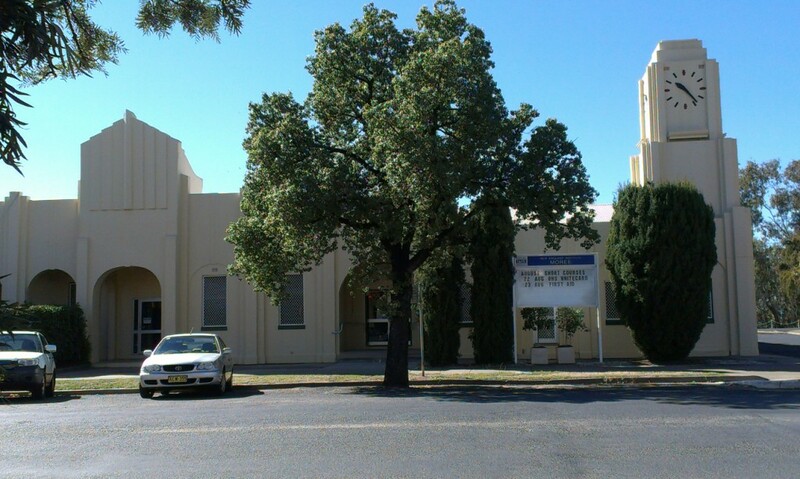 Across the road from the old CBC Bank is the Moree TAFE building. 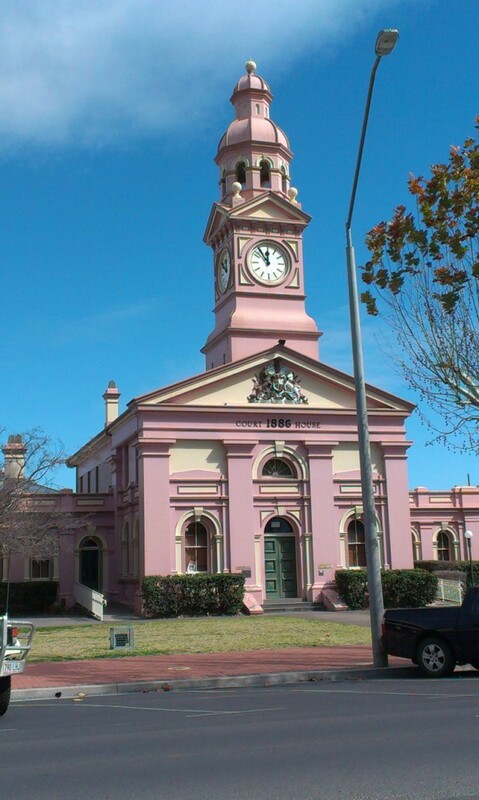 It was built in 1902 and has a gorgeous Art Deco clock tower. 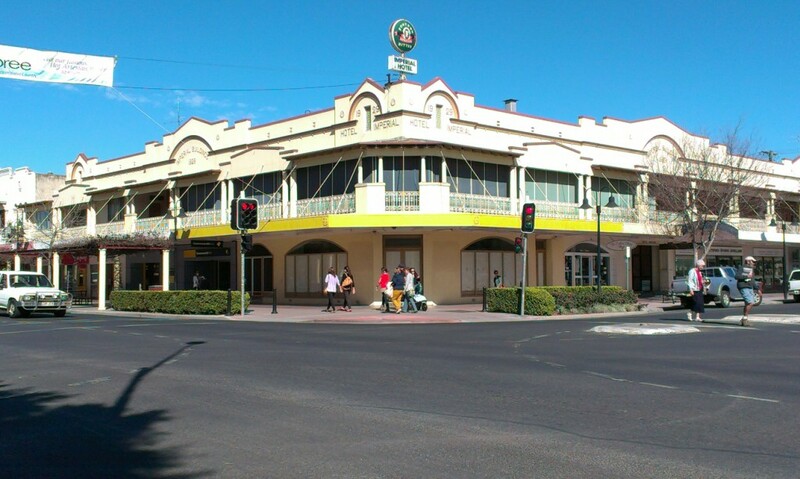 Back in the main street is the Edwardian Imperial Hotel built in the 1920s. 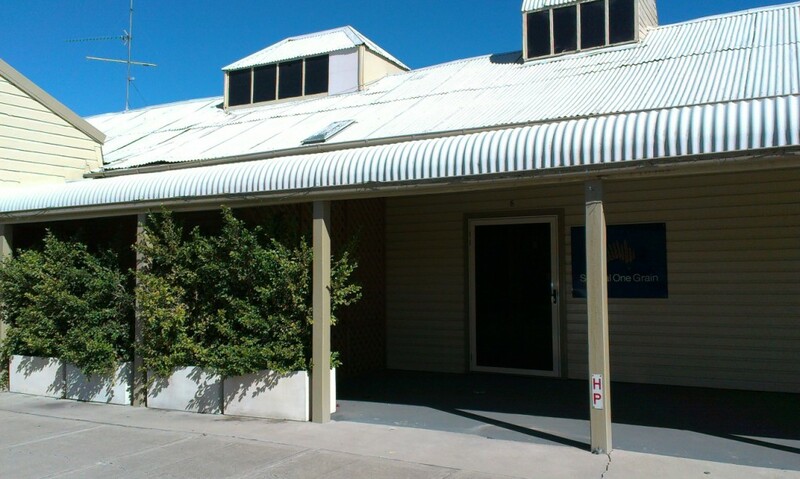 Much of the building is original, and it is pretty typical of a county hotel in NSW. This little group of shops is also pretty typical. It was built around 1900 & is in beautiful condition. 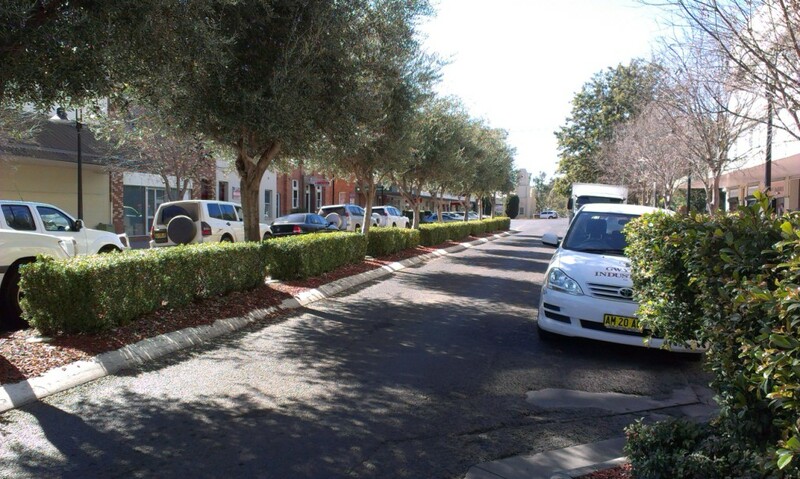 In many of the streets in country towns, parking is rear to kerb, and this is pretty disconcerting in a busy main street if you aren't used to it! Behind these stores is the residence. Complete with bull nose corrugated iron roof shading a deep verandah. Summers are very hot here, so there are lovely deciduous vines (grapes?) 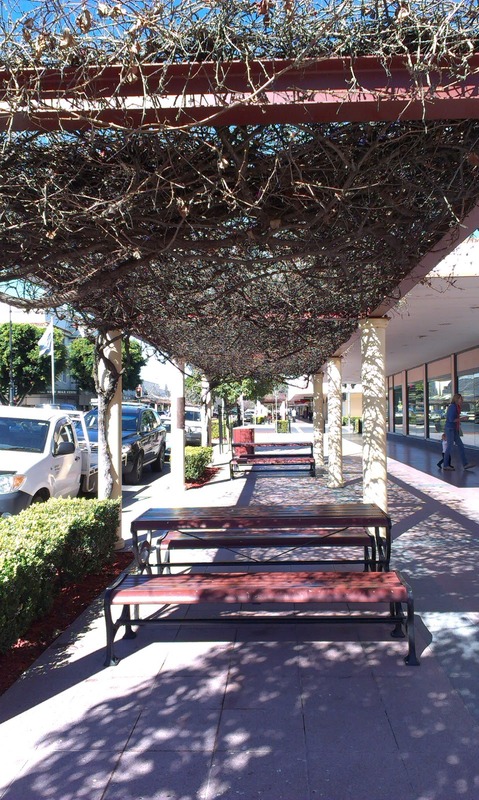 planted over trellises, on either side of the main street, all along through the central part of the shopping area. There are conveniently placed benches & tables where you can stop and chat on a hot summer's day. The trellises are lit up at night with fairy lights which looks really pretty. One of the features of this town are the Artesian Hot Springs. The water is supposed to be healing. The pool area has been restored recently and is lovely, with two hot pools, one deeper than the other. 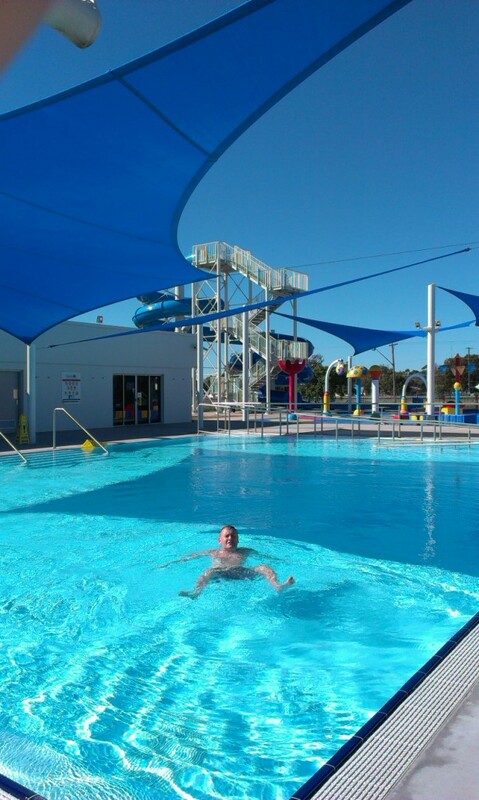 A cold water pool, for playing in, and a lap pool for more serious swimming. Behind this pool is a magical children's playing area and a water slide. While at the pool, we were treated to a very special sight - three Little Eagles circling the pool & surrounding grassy area. No photos - they were too far away and the photos I took were just vast expanses of blue sky with a black speck in them. Don't be fooled by the name, these are huge birds! And the three of them circling above us was an awesome sight. The town is on the banks of the Mehi River, which winds itself around the town. It is very full at the moment. These geese spied us from afar, and came at a gallop to investigate. 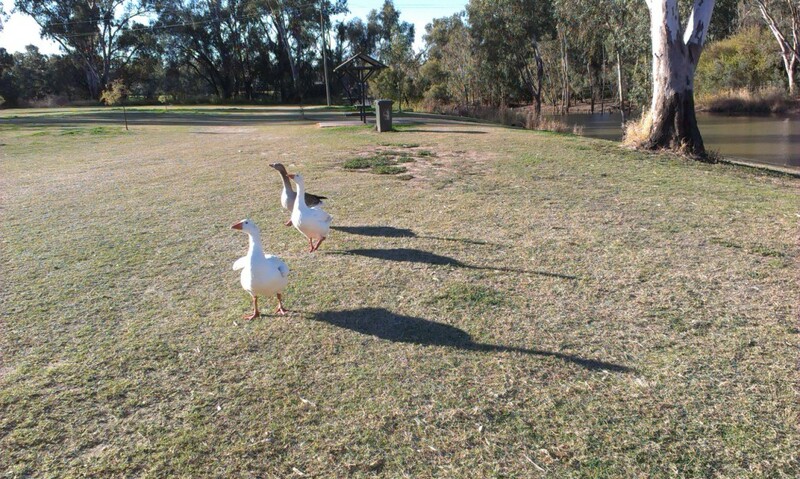 The accompanying ducks were annoyed at the intrusion and flew off. The Visitor Information Centre sports the Moree quilt donated by the local quilt group. 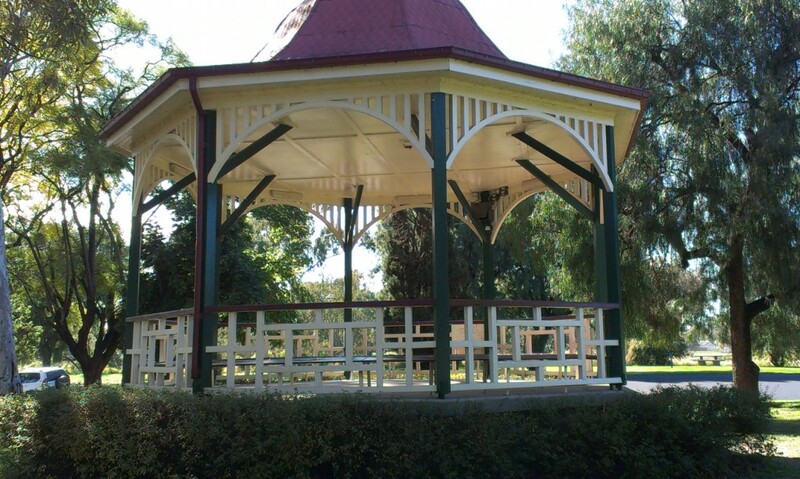 And a lovely 1930s Rotunda in Kirkby Park. A lot of the country towns in NSW have these. Old friends + Thai food. A great combination!